Accusations of bad labor practices are upending the NBA 2K17 YouTube community this week. After freelance video editor Anthony (aka “Prince Prodigy”) alleged that popular 18-year-old gaming YouTuber LostNUnbound paid him a slim $15 per video edit, other LostNUnbound contributors have come forward alleging they worked for similarly low rates, without proper credit, or for free. LostNUnbound, who has about 750,000 subscribers, countered in a video that Anthony, and others, are lying about him, and that the $15 payment was actually to edit parts of videos, not entire productions. In a video titled “Why LostNUnbound Ruins The Community,” NBA 2K17 YouTuber JesserTheLazer says that he was friends with LostNUnbound. But he thinks his labor practices are bad: “If you’re gonna pay people to edit your videos—you’re making so much—the minimum you should pay someone is $300 a video.” Another LostNUnbound video editor claims the YouTuber has paid him $10 per edit, corroborating the claims with screenshots. “If LNU pays his editors $60-100 as he says, he owes me over $2,000. I get $10 per vid,” he wrote on Twitter. Anthony’s claims sparked the recent controversy. He says he edited over 250 videos for LostNUnbound. Anthony adds that, in addition to that meager payment, LostNUnbound also said he’d promote Anthony’s YouTube channel, which only had 3,000 subscribers in November, 2015. LostNUnbound’s videos received several million views per month. 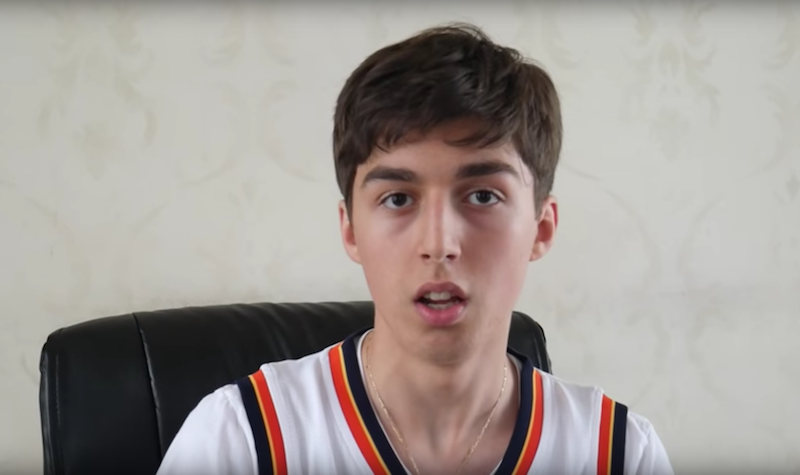 Anthony hoped to make it big in the NBA 2K YouTube scene and agreed. In the 2K community, “collaboration” refers to commentary or gameplay contributed by another player or YouTuber. It could refer to multiple YouTubers commentating on a game or competing in matches against one another. It’s a way for YouTubers show off their skills, which could attract viewers to their channels. For YouTubers trying to grow their audiences, collaborating with more popular video-makers can be a lucrative proposition. So it’s easy to see why so many people wanted to work with LostNUnbound. It’s unclear just how much LostNUnbound actually collaborated with Anthony and the other YouTubers who have come out against him, but Anthony said in his accusations that LostNUnbound didn’t offer as much as Anthony had expected. LostNUnbound posted another video yesterday responding to claims that he stole other YouTubers’ video ideas but did not address Anthony’s complaints over payment. Neither LostNUnbound, Anthony, nor other collaborators responded to multiple requests for comment. [Correction—5:10 PM]: We’ve removed Prince Prodigy’s full name from the article at his request.